Wouldn’t it be great if we could combine Angular forms and ag-Grid? This article documents how. 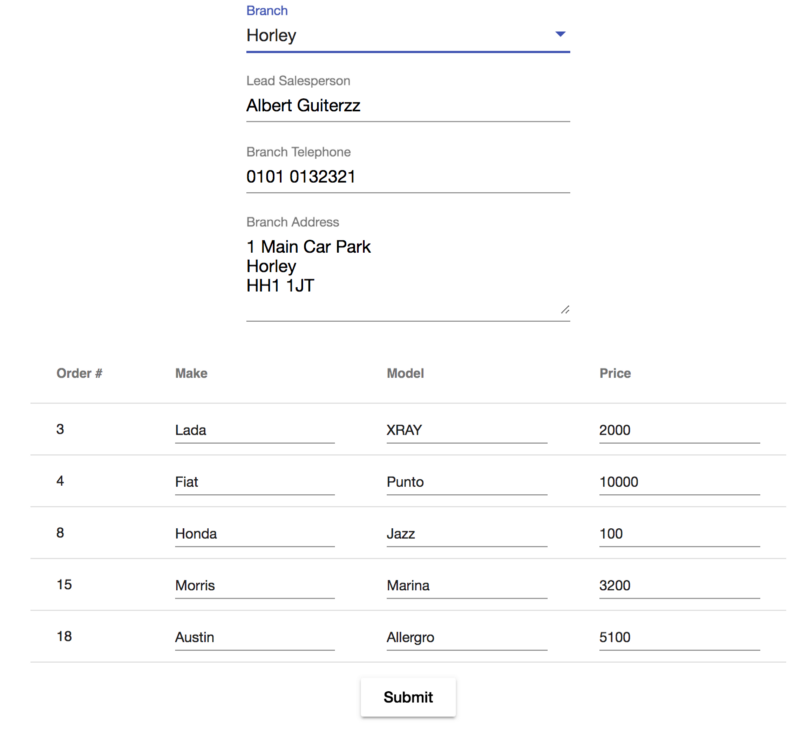 Angular Forms are a great way to encompass a logic unit of data — something you can submit to the backend for further processing, saving etc. Wouldn’t it be great if we could combine angular forms and ag-Grid? And better yet, wouldn’t it be great if we could treat grid cells as part of the wider form? It would! This article documents how you can integrate these two great technologies. ag-Grid is a feature rich grid with a huge amount of functionality — documenting what can be done with it would be a series of articles in it’s own right. 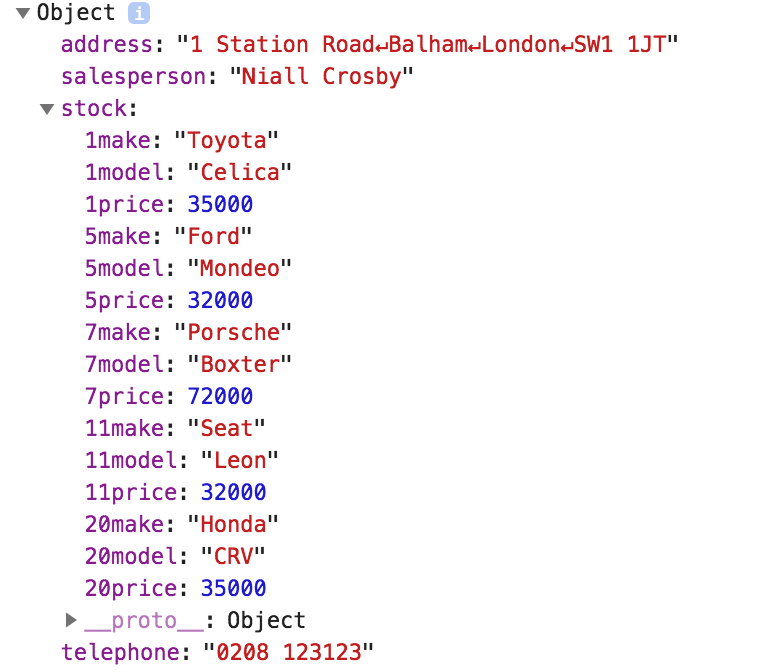 Suffice to say if you require data to be displayed in a tabular format ag-Grid should be your first choice. There are cases where you want to have an array of data that you want to be editable by the user, that you then want to submit as part of a wider form as part of a logical whole. If we can treat the grid cells as regular form fields, then the two would naturally fit together. Let’s assume for example you were managing a group of car dealerships and needed to update the stock in each regularly. Let’s also assume that on occasion you need to update the dealership details (Lead Salesperson, Address etc). In both cases a form would be a convenient mechanism to capture the current state — we’ll start with the simplest use case (the grid is the form), before building on this to have a slightly more sophisticated application, with the grid being part of a wider form. We’ll be using Angular’s Reactive Forms for this as this supports dynamic form components, which we’ll be making use of here. We’ll also be using the Angular CLI to generate and build our application and use Angular Material Design & Flex Layout for styling and layout, but won’t be discussing this side of things. These are secondary to the main thrust of this article, which is to understand how you can use Angular Forms with ag-Grid. The code for this part can be found at https://github.com/seanlandsman/ag-grid-ng-forms, under branch part-1 (git checkout part-1). Here all the data we wish to capture is within the grid — as such our form will encompass the grid and be the only FormGroup used within the application. We need a way to link child form cells within the grid to the parent FormGroup. Ordinarily this would be done by specifying the formGroup and the formControlName on the child input as normal, but as the grid will create the child cells dynamically, we need a mechanism to do so asynchronously. Without this check Angular would throw an error as the FormGroup would not be available yet. We’ll provide this in the final step. Ordinarily this would mean that the grid and all the cells are ready to go, but as we need to declare the form upfront and then add form data to it asynchronously we’ll use this as a trigger to close the circle and add the cells to the form. Once the grid is ready we create and bind the FormControls to the parent FormGroup (createFormControls) and then force refresh the cells to update the cells themselves. 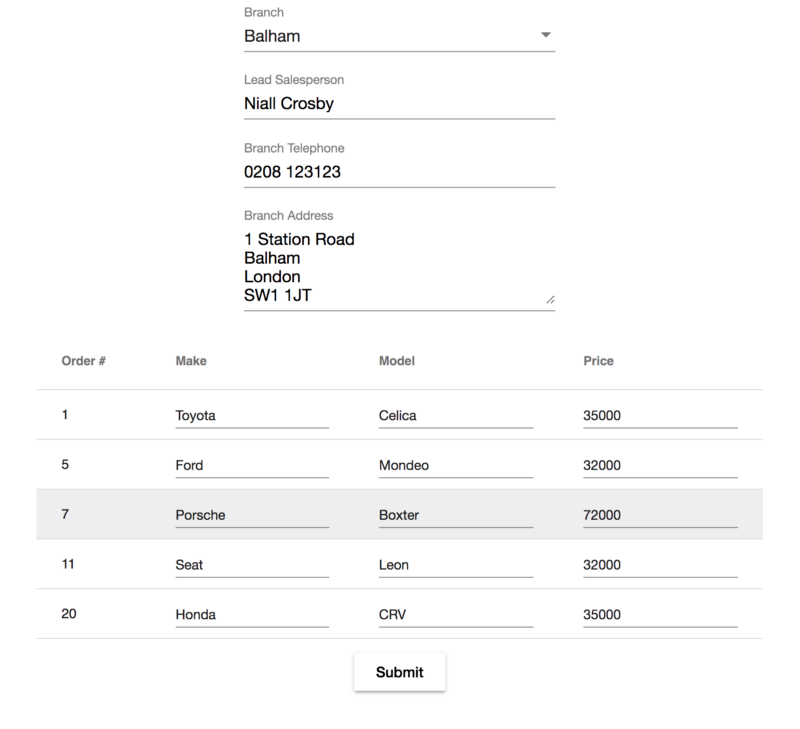 We create the form controls by iterating over all rows and columns, and for each cell create a FormControl which we’ll add to the parent FormGroup. The logic used to create the unique key is simple in our case, but can be tied to something that makes more sense in your business use case. This creation and linking is only necessary once, after grid initialisation. We store the cell value and the shared createKey function that we’ll use to assign a key to the cell. Doing this ensures that both the parent Grid and child Cell have the same key value, and will allow Angular to add the cell to the parent Grid Form automatically. Note that the setting of the value could have been done in step 2 too, but doing so in the cell feels more natural. Once the FormGroup has been set the cell will be rendered and the circle will be complete. Angular will be aware of the Form and all child FormControls. <form style="width: 750px; height: 300px;"
The code for this part can be found at https://github.com/seanlandsman/ag-grid-ng-forms, under branch part-2 (git checkout part-2). This use case is probably more typical — the grid (and the cell inputs within) will form part of a larger form. In this scenario most of what we did in Part 1 applies, but I’ve expanded the example to illustrate a case where the row data changes when higher level data changes, to demonstrate one small but important difference. This clearing out step is important to ensure we’re capturing the form as it currently is and not retaining any data from a previous form/view. Note that we now have new top level data (address, salesperson etc), but the grid data is now contained within the stock property. 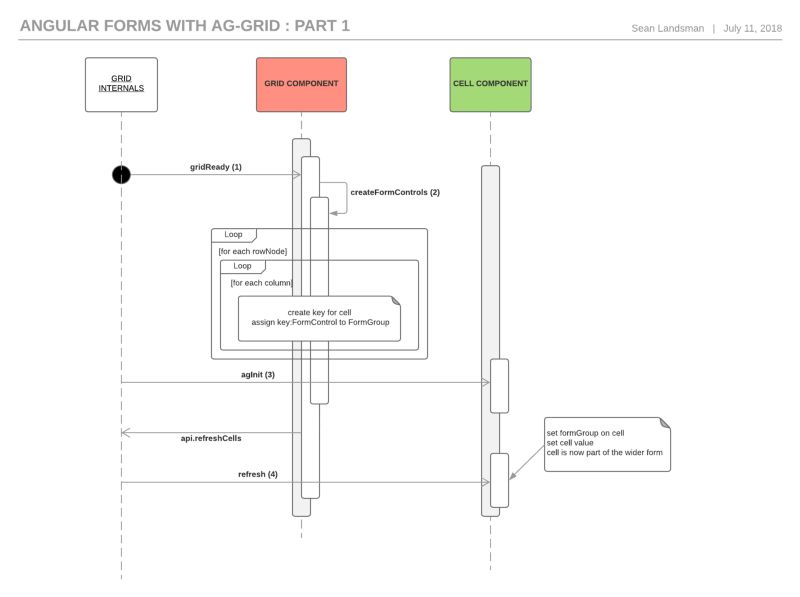 The code for this part can be found at https://github.com/seanlandsman/ag-grid-ng-forms, under branch part-3l (git checkout part-3). This final example is probably the most natural to use and would be my preference if using the Grid as part (or as) an Angular Form. As with Use Case 2, our grid is part of a wider form, but this time the Grid data will be available as a FormArray. Doing this is feels more natural as we’ll be able to mentally map the resulting array data to what we’re seeing on the screen. 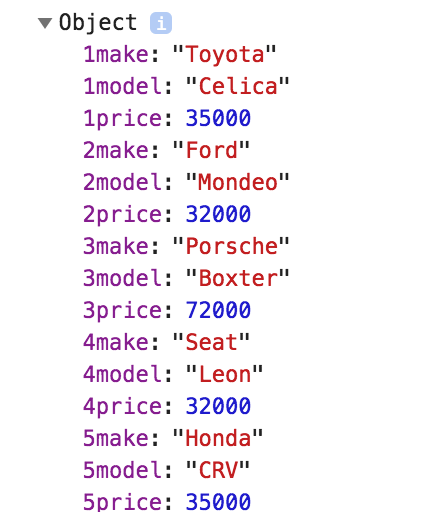 This time we’ll use the column index as the key — this makes sense if all the values for a column will be in the same index location in the resulting FormArray. Note that there is a downside to this implementation — it only makes sense for grids where column positions cannot be re-arranged. If column positions change then the values will be in different index locations to the columns index location. All of the above implementations assume that all the grid data is present on the screen. If you have a large set of data and have row (or column) virtualisation enabled (which would be the default) then rows/columns will be removed/added to the DOM as the user scrolls. So there you have it — 3 options for using ag-Grid as part of a wider Angular Form. There is a small bit of code and one-off initialisation required, but it isn’t too much and is only required once. The benefits are that you’ll be able to treat the grid (and the data therein) as a natural part of the Angular Form, which is a big win. Comments and questions welcome below — I hope that you found this useful!